This paper focuses on the explication of the debate on employee drug testing within business organizations. The trend has become common as most organizations look forward to ensure they have employees who exhibit professionalism and effective performance in their organizations. The findings of the paper include the positions held by both proponents and opponents to the debate of drug testing in business organizations. One of the key findings is that drug testing enhances workplace safety as employees are able to use machines effectively and relate with each other. The second finding is that drug testing is used as part of an organization’s public relations. On the other hand, opponents note that such tests are undesirable because they infringe on the fundamental rights of employees at the workplace. The paper concludes that business organizations must weight both positions before making decisions on drug testing. Local, state, and federal laws have allowed business organizations to test their employees in the workplace. However, the issue of employee drug testing in business organizations remains controversial as people hold different opinions on its significance. Some businesses continue engaging in random drug tests with the aim of ensuring their employees stay away from illicit drugs that could affect the performance of the overall organizations. Proponents of employee drug testing in business organizations affirm that it boosts safety within the workplace and enhances public relations. On the other hand, those against drug testing reiterate that employee drug testing is not required because it infringes on the rights of employees. Economic and business commentators are yet to agree on the best way of initiating drug tests, as most organizations favor random tests that are likely to find some employees off guard. Employee drug testing is highly beneficial to business organizations because of its ability to boost safety and public relations through quality performance among all employees. Proponents of employee drug testing reiterate that drug tests are vital because they ensure that accidents are avoided in organizations, as each employee is assigned to appropriate machines and automobiles. Business organizations have the right to understand the soberness of their employees to avoid accidents emanating from recklessness brought about by the use of illicit drugs. More so, business organizations owe their employees a duty of care, as they work. This implies that they need to conduct drug tests to understand their capability to run some of the most complicated and dangerous machines at the workplace. For instance, the U.S. Department of Labor (2014) informs that the U.S. has recorded a 38% decrease in the number of employee who die at the workplace because of drug abuse. The adoption of random drug tests has been crucial in leading to this significant decline in the death rates at the work place. The second example highlighting the need for drug testing is the 1994 Amtrak accident that arose from alcohol addiction on the part of the train engineer. The accident would have been automatically prevented in cases where he could have been tested randomly and discharged from his duty of running the machine. The last example emphasizing this reason is the increase in the number of sober employees in the contemporary workplace. Many employees do not risk their jobs and they tend to stay sober throughout their working activities. Additionally, drug testing is crucial because it protects other employees and customers from aggressive addicts at the workplace. The performance of any organization depends on the safety of its employees and customers. This is especially because they are key stakeholders and play a supportive role in the success of the entire organization. Thus, business organizations are obliged to conduct random tests that would ensure everyone is safe at the workplace for effective productivity. Proponents of drug testing reiterate that these tests must be made a norm because they keep the entire organization friendly and free from assaults. For instance, many societal problems have shifted to the workplace because of massive drug addiction among employees. According to the U.S. Department of Labor (2014), workplaces in the U.S. report over 615,000 assaults per year because of uncontrollable employees. Drug tests have the capacity to reduce this number of assaults. The second example is the fights that could be encountered between employees and customers. Some customers tend to ask too many questions about a particular product. Some employees especially drug addicts may find this irritating and wrestle off customers hence creating negative relationships that could affect overall performance. The third example is seen in terms of performance where sober employees are able to produce quality products that meet the safety standards for customer consumption. Drug testing presents a chance for employees to recover through specific recovery programs established at the expense of the organization. 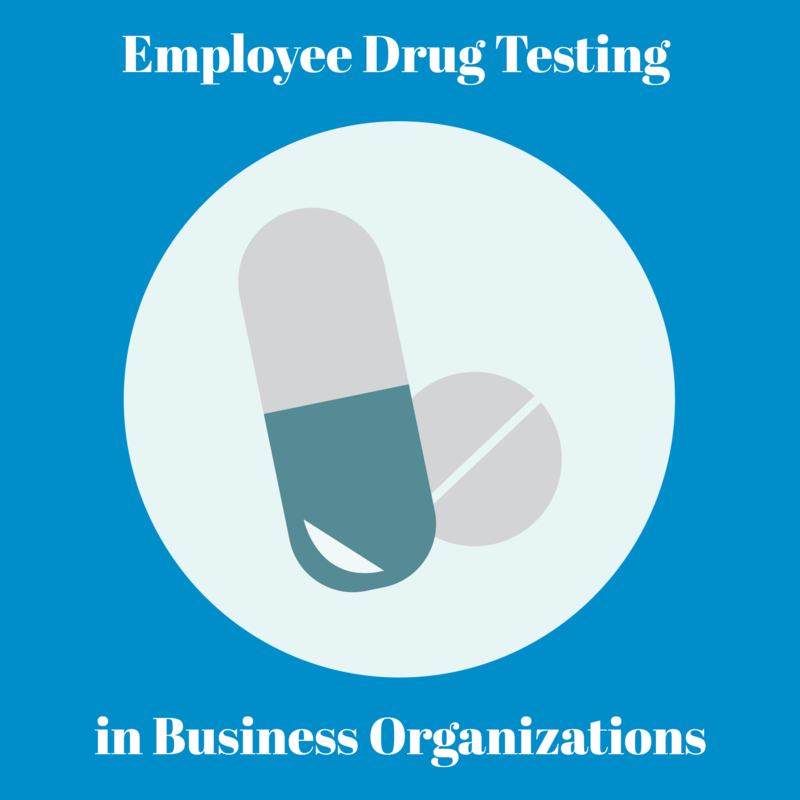 Many business organizations conduct drug tests with the interest of their employees at heart. They are always focused on creating a safer and more productive workplace environment by putting affected employees on recovery programs that are already paid for. Bleasdale (2014) agrees that employees get the chance to prosper in cases where they test positive and attend recovery programs provided by their organizations. It is easy to chance the attitude of employees to work using drug tests. For instance, most employers with drug free programs have reported improved health among their workers, which translates to the safety of their family members. These programs have been made for the benefit of these employees hence ensuring they are in appropriate health. The second example emphasizing this example is that most organizations such as Walmart have ended up qualifying for incentives such as decreased compensation and insurance costs for their workers because of their adherence to drug free programs. Thirdly, employers with drug free programs have continued reporting improvements in the morale and productivity of their employees because of the commitment to eliminate addiction at the workplace. It is worth noting that drug testing helps organizations illustrate their commitment to integrity. The public will always want to see organizations practicing ethical standards at any given time. Again, organizations have to engage in different actions that illustrate their desire to stick to the desired moral and ethical standards. This comes out as the best way to increase their profitability and stay ahead of their competitors. Drug testing presents an effective opportunity for all business organizations to explain to the public the meaning of integrity and the desire to promote discipline among all employees. For example, companies such as Tesco have been able to sell a lot because of their commitment to such exercises, which restore confidence among different stakeholders. The second example is the form of government support that many companies have received because of their adherence to drug tests. Support is always seen in terms of compensation costs. The third example illustrating this point is constant customer support for such companies. The customer base has come to understand the needs for an enhanced and disciplined workforce hence supporting the success of these organizations. Accordingly, random drug testing in organizations enhances employee performance hence meeting the needs of all customers. Many companies have been in the best position to retail the loyalty of their customers through drug testing. Employees are always in the best position to perform in the best manner possible in cases where they have been tested and helped to recover through drug free zones in their respective organizations. Business organizations must continue conducting regular drug tests to keep employees on toes and ensure they take responsibility for all emerging issues within their organizations. More so, employees tend to be prepared to deliver the required results with such tests in place. For example, the aspect of absenteeism is always avoided through drug tests. Reduced absenteeism keeps organizations moving and producing desirable products with committed employees. The National Institute on Drug Abuse (2014) agrees that this has been a common occurrence in the U.S. and U.K. where absenteeism levels have dropped by 40%. The second example is increased productivity across many organizations. Companies have witnessed a massive increase in their productivity because of sober employees. The performance of most employees continues relying on their ability to remain sober and produce effectively without any form of drug influence. The third example is the reduced level at which employees are changing their jobs. In contemporary organizations, job changes rarely occur because most employees are sober to produce quality products and services that meet the needs of their consumers in the most effective manner. Organizational drug tests enable companies show their adherence to the country’s legal frameworks. Local, federal, and state laws require allow some businesses to conduct random tests on their employees, as a sign of following the law. They believe that the law should be followed at any given time by helping the government fight the illicit use of drugs in their workplace. They also help control the constant spread of the drug abuse habit to other members of the organization. For example, many organizations have continued engaging in pre-employment drug tests. These tests are vital because they help determine the adherence of new recruits to the rules of the state in terms of drug abuse. Most of these cases are usually reported to law enforcers hence mitigating the case and boosting compliance. The second example is the intention of business organizations to observe the standards put in place by the Substance Abuse and Mental Health Services Administration by diagnosing drugs addicts and setting up recovery centers. Walmart is the best example for such centers. Bleasdale (2014) affirms that such practices boost the recognition of existing laws. The third example indicating adherence to legal frameworks is the continued use of standardized procedures. Most organizations could be found using standardized procedures that are likely to get the best out of their employees. Opponents of drug testing within business organizations assert that the use of the urinalysis technology infringes on the bodily integrity of employees. The Tennessee Department of Labor (2013) informs that drug testing entails that use of urinalysis technology, which demands the use of samples from the human body. Some of the common samples used in drug tests include urine, blood, stool, and saliva. This technology infringes on the fundamental rights that all employees are supposed to enjoy in respect to their bodies. The first example indicating the loss of bodily integrity is the ability of the urinalysis technology to reveal other diseases that employees suffer from. This exposes their privacy without their consent. The second example is the ability of the technology to reveal other conditions such as pregnancy. Female employees are denied their right to privacy in terms of their bodies. Every organ is assessed hence unmasking them when they least expected such events to occur in their lives. Lastly, there is always a chance of laboratory failures with this technology. With such failures, organizations fail to distinguish between legal and illegal drugs. Therefore, some employees might end up suffering even in cases where they have consumed legal drugs. Random tests find most employees unprepared hence catching them off guard. Most of these tests act as a bait for employees. They tend to create unnecessary problems for employees hence leading to their sack. It cannot be assumed that employees are drug addicts in cases where they are producing at the required level. Only a small percentage of employees are drug addicts and could be handled in a manner that respects their dignity. For instance, some employees in organizations are forced to give personal information about their families, which leads to the loss of privacy. Secondly, some employers have dared to forcefully search the houses of employees using search warrants. This is common in cases where they suspect that their employees are peddlers. The third example that indicates the infringement on employee rights is the inability of drug tests to measure on-the-job impairment. Some employees could be unfairly judged as non-performers even in instances where such drugs do not affect them. Lastly, opponents argue that drug tests might lead to irregular firing of employees who could have been assisted to recover. As noted earlier, most of these tests are conducted with the pretense of trying to help employees. However, their sole purpose is to get rid of some employees in the business organizations. For example, the U.S. Department of Labor (2014) reiterates that over 20% of employees on prescription drugs have been sacked with the excuse that they are drug abusers. This case highlights irregular sackings. The second example emphasizing this point is the rampant errors of the technology, which sets the ground for irregular firing of employees. There have been situations where organizations have been forced to fire employees without a keen consideration of the results. Lastly, there have been instances where employees have been singled out for such tests. Singling out employees is not the best approach because it has caused harm to defenseless employees that end up receiving sack letters from management. In conclusion, companies should understand the rules behind employee drug testing to achieve the desired results. Many businesses believe that it is the best way of earning the confidence of employees and regulators. People have come out to support drug testing in business organizations emphasizing that it gives the organization the reputation it needs and boosts the level of safety in the workplace. On the other hand, opponents have criticized such tests reiterating that they infringe on the rights of employees because of the technology utilized. The urinalysis technology requires the use of samples, and this undermines the dignity of employees hence affecting their performance. The time has come for businesses to give the idea of employee drug testing a second thought to avoid the backlash it is currently facing. It would be vital to weigh both advantages and disadvantages, and choose the safest decision for implementing drug test programs.